Size of platform: 1*1m,1*2m, 4ft*4ft, 4ft*8ft etc. 1.High mechanical strength and grade of transparency. 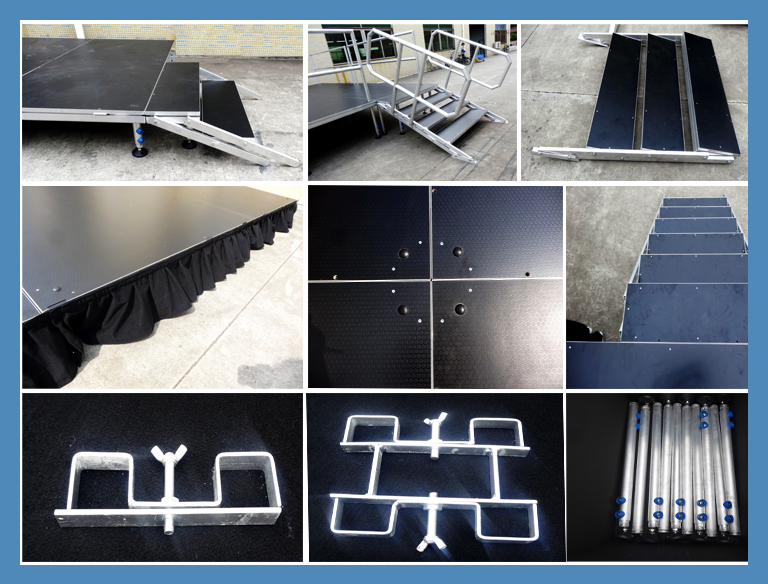 2.Our decent stage can match adjustable stage legs,also can customized by you. 3.Extremely lightweight, with enormous strength. 4.Our decent staging is simple, environment protected, energy-saving,with the carefully design. 5.It’s easy to build a beautiful mobile staging, without the need of tools,easy to store and transform. Please feel free to contact us to talk details and welcome to our office&factory in Shenzhen,China.